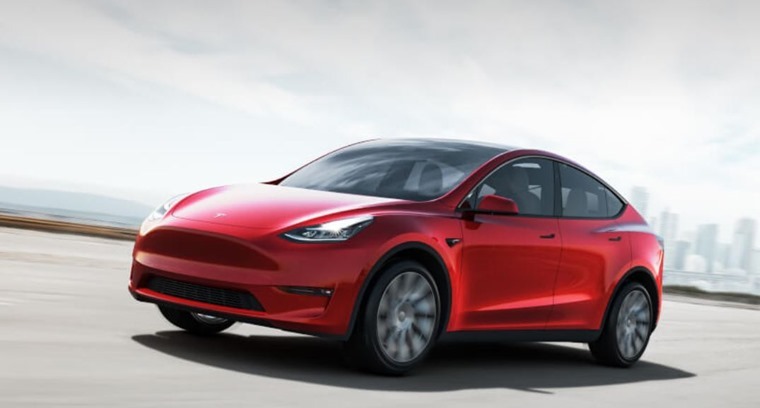 Tesla has revealed its new, all-electric SUV – the Model Y.
Slotting in between the compact Model 3 and the larger Model X, it’s set to be priced from $39,000 when it hits the US market later this year – that’s around £30,000 at today’s exchange rates, but UK prices are still to be confirmed. 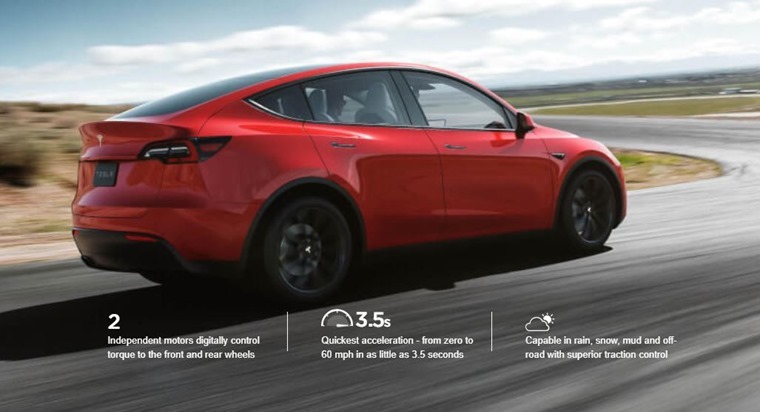 Owing to its middling position in the range, it gets styling carryovers from both the compact Model 3 and huge Model X SUV, and actually shares 75% of its components with the smaller model. 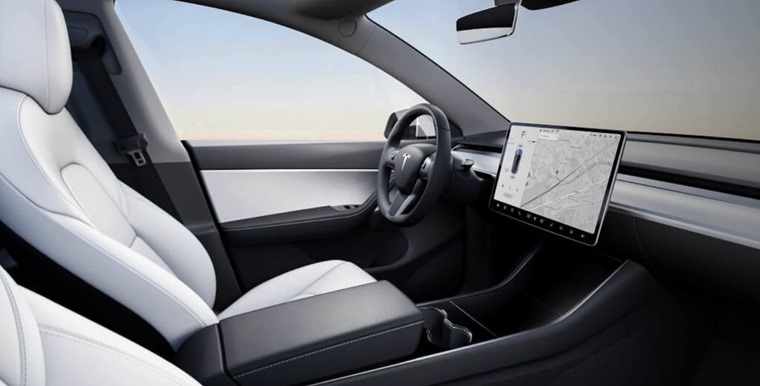 In the cabin, you’ll find a very familiar-looking dashboard carried straight out of the Model 3 – a 15in touchscreen controls most of the car’s functions. Tesla’s semi-autonomous Autopilot system will be included on more expensive models, too. Size-wise, it’s a competitor to the BMW X3 and Mercedes GLC, but unlike the German pair, it will be available as a seven seater. 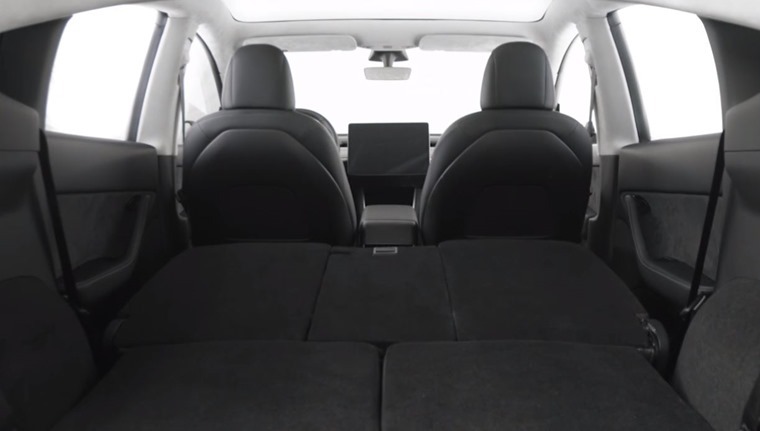 A large tailgate and a total load pay of more than 1,800 litres (with all rear seats down) will make it a much more practical proposition to the Model 3 Saloon. The Model Y line-up is set to launch with the ‘Long Range’, Dual-Motor’ and ‘Performance’ models in the US later this year. The Long Range is capable of up to 300 miles between charges and will be priced from $47,000. The Dual Motor gets a higher list price of $51,000 and a lower range of 280 miles, but gets a 135mph top speed and a 4.8-second 0-60mph time. The range-topping Performance model will get the same 280-mile range, but ups the top speed to 150mph and lowers 0-60mph acceleration to 3.5secs. The entry-level ‘Standard Range’ model will launch in 2021 with a list price of $39,000. It gets 230 miles of range and a 120mph top speed. 0-60mph stands at 5.9secs. 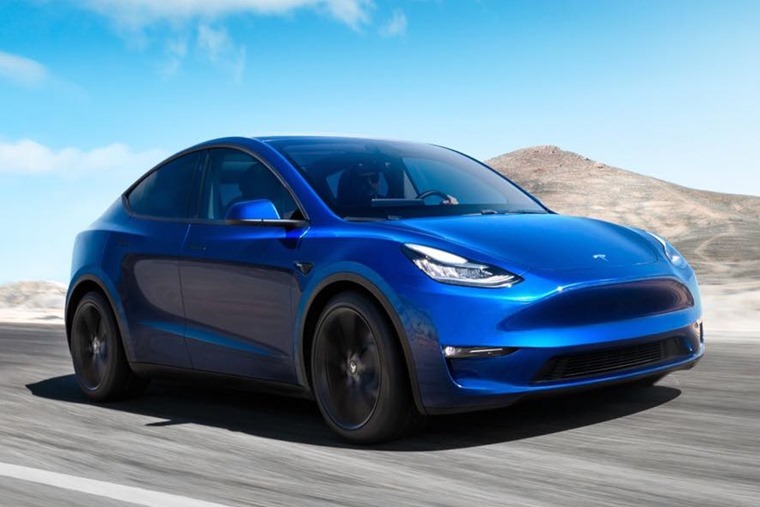 Given the increasing popularity of crossovers and SUVs, the Model Y is an extremely important car for the California-based manufacturer, with stiff competition coming from mainstream premium brands. For example, there’s a smaller Audi e-tron on the way, and the VW I.D. will launch later this year. We’ll bring you more details on the Model Y as we receive details, but we know the first models are likely to arrive in Europe by 2022… quite a wait then. If you fancy an electric crossover right now, how about the Hyundai Kona Electric? We sampled one for a week – find out how we got on or alternatively, find Hyundai Kona Electric lease deals here.